At Ascend at Red Rocks in Lakewood, you can choose to call a one, two, or three bedroom apartment home. Each apartment features appealing characteristics, including wood-style flooring, walk-in closets, and a private patio or balcony. In some apartments you will also find high and vaulted ceiling options, which provide an artful ambiance throughout the home. Day-to-day tasks are a breeze when you call Ascend at Red Rocks home. 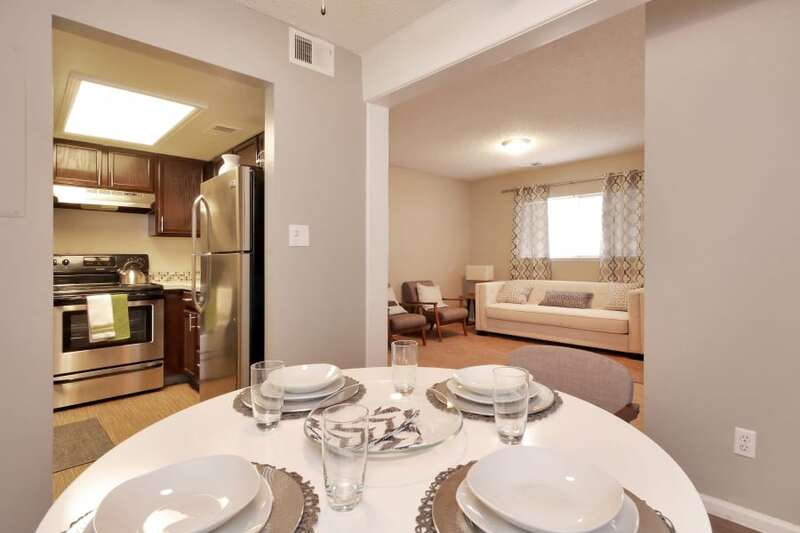 Your apartment comes standard with a full set of stainless-steel appliances in the kitchen, including a dishwasher. Doing your laundry is quick with the help of an in-home washer and dryer. Each home is also equipped with a fireplace, ceiling fans, and air conditioning for your daily comfort. See our modern apartments in suburban Lakewood, Colorado today.